2. REMOVE stems from portobella mushrooms. 3. 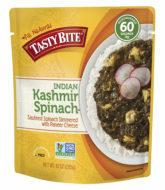 MIX Tasty Bite® Kashmir Spinach™, onion, bread crumbs and 1/2 cup parmesan cheese in large bowl. 4. STUFF mushroom caps with mix. 5. 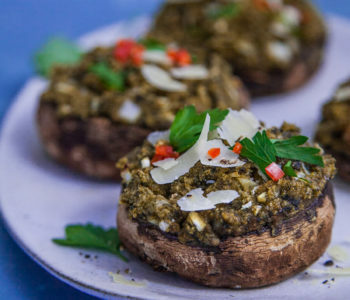 BAKE stuffed mushrooms on baking sheet for 10 minutes. Remove from oven. 6. TOP with remaining parmesan cheese and bake for an additional 5 minutes. Enjoy!